If you see people wearing blue during the month of March, they may not simply be expressing a color preference. They may be participating in Colon Cancer Awareness Month. Started in 2000, the annual event is designed to promote colon cancer screening, which has been shown to scientifically save lives. Colon cancer is one of the most preventable cancers in the country, but only if caught early enough for treatment. Make an appointment with NYC Gastroenterologist Dr. Shawn Khodadadian to take advantage of the myriad of tests available. The procedures to prevent colon cancer also detect rectal cancer, so the tests are a win-win. At Risk for Colon Cancer? Have you suffered from inflammatory bowel disease at any age? Do you have a family history of colon cancer or polyps? Colon cancer forms within the part of the gastrointestinal tract known as the large intestine, in particular in the cells that release fluids and mucus. It’s the third most commonly diagnosed cancer in the U.S. According to the Siteman Cancer Center, up to 75 percent of all colon cancer cases can be prevented. Lifestyle plays a significant role in preventing colon cancer as well. While you can’t change the past and even if the genes you inherited make you at risk for colon cancer, you can make smart choices starting today to increase your chances of remaining cancer-free. Limiting red meat to no more than three servings per week can help some people. Drink alcohol only in moderation. If you don’t drink, don’t start. If you smoke cigarettes, consider quitting. Studies found smoking contributes to at least 14 different cancers, including colon cancer. Exercise at least 30 minutes per day and maintain a healthy weight. By dressing in blue during the month of March, people across the country are reminding others to get regular colon cancer screenings. You can join them and save lives. Share this information with your loved ones in March and every month throughout the year. 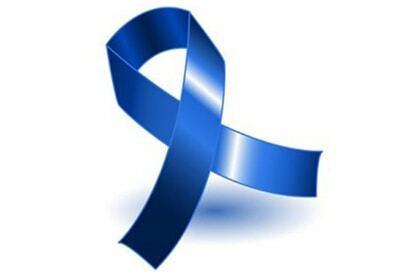 Help beat colorectal cancer. Schedule an appointment with Dr. Shawn Khodadadian, a New York City Gastroenterologist, who specializes in colon cancer screenings.